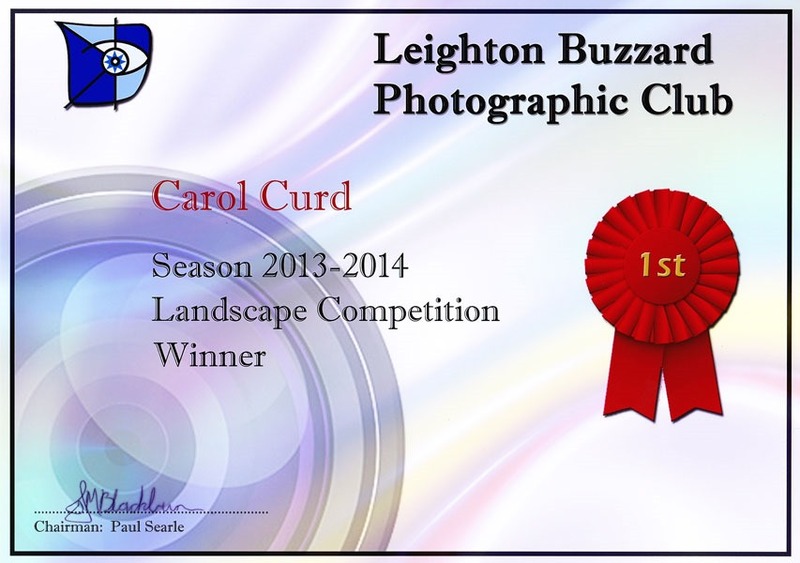 Back in Beginner’s Skill, posted in April this year, I got the chance to boast about Carol winning a photographic landscape competition at our local photographic club. 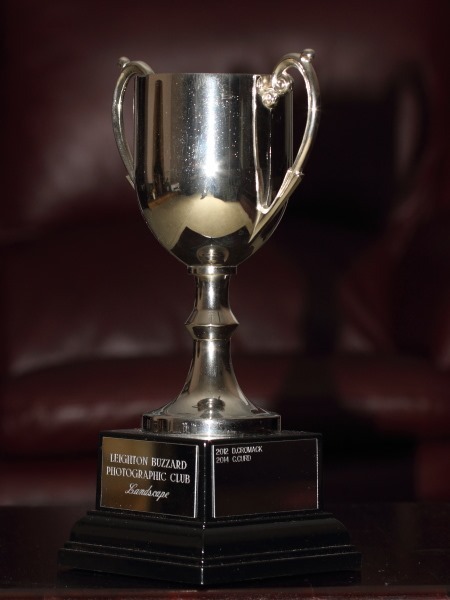 Well, at long last her rewards are here and Carol has her skilful photographic hands on a cup, engraved with her name, and a certificate. The landscape competition is held biennially so Carol gets to keep the cup for two years, until the competition is held again. I think I’m beginning to see why the competition is held every two years – it takes nearly that long to get the trophy presented. 😀 [Just kidding.] Anyway, well done again, Carol. Whereas my photographic efforts are very largely centred around wildlife, Carol likes to get up at ridiculous hours of the morning doing landscape work. In this digital age. the two interests are best served by different kit. Wildlife tends to run/fly away if approached too closely so long telephoto lenses are generally needed. The relative power of a telephoto lens is increased using a cropped sensor DSLR such as my current camera, a Canon EOS 7D. On the 7D, the 1.6 factor increase of Canon’s APS-C cropped sensor makes my Canon 300mm f4 lens equivalent to a 480mm lens on a full frame camera. Carol has also hitherto been using cropped sensor cameras, currently a Canon EOS 60D. Often, the best way to improve photographic results is to get better glass mounted on ones camera. When I started using a Canon L-series lens, as opposed to a “regular” consumer lens, for my dragonflies, the difference in sharpness was immediately noticeable, all other things being equal. Carol fancied some L-series glass for her landscape work but there’s a bit of a difficulty. Landscapers often need to use reasonably wide angle lenses but Canon’s L-series zoom lens range tends to start at 24mm. On a cropped sensor that’s equivalent to 38mm, hardly wide angle at all. The range of lenses is really pitched at users of full frame cameras. Indeed, there are professional landscape photographers that tend to sneer at cropped sensors. Anyone capable of winning a landscape competition with this shot of Kimmeridge Bay surely deserves the increased flexibility that a full frame camera would offer. I bought Carol a Canon 5D mk3 and donated my 24-105 L-series lens which was of limited use on my cropped sensor 7D. 🙂 Now she’s got three camera bodies. The 7D mk2 is expected in November and pre-orders are now being taken at Wex Photographic, though I think I’ll wait for the initial rush to die down. After all, the dragonfly season is drawing to a close so there should be no rush.